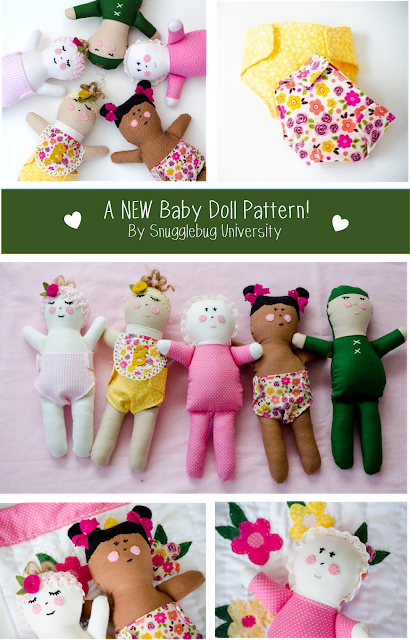 Snugglebug University: Introducing...The Baby Bug Doll Pattern! 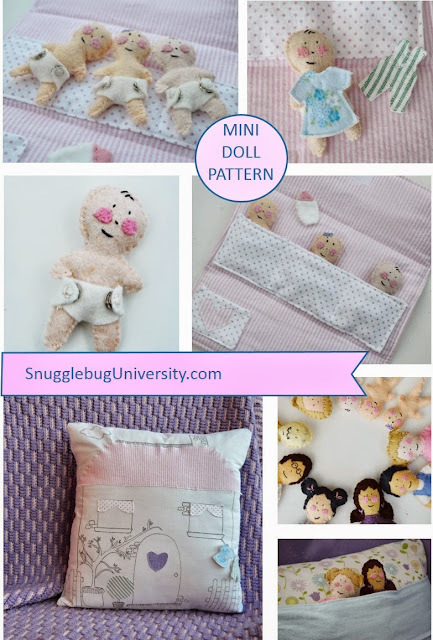 Introducing...The Baby Bug Doll Pattern! Hi guys! So if you follow me on instagram, you've probably seen some of my pattern sneak peaks! I've been working on a new pattern, and I'm super excited to be able to share it with you today. My youngest LOVES baby dolls. A few months ago Ellie begged me to make her some babies, actually, LOTS AND LOTS of babies. Finally I gave in. Your survey results helped motivate me!...and the truth is, she's MY baby, and I realized that I should probably indulge her....because goodness knows soon she'll be asking me to a prom dress or something. (C'mon...who am I kidding!?! Everything I make will probably WAY too embarrassing. Please baby girl! Don't grow up so fast!) So for now, Ellie enjoy your baby dolls. I love watching your eyes light up with every stuffed doll or dog that I make. Something for everyone, I hope! Perhaps what I love best about this pattern though is that it isn't just a doll pattern. 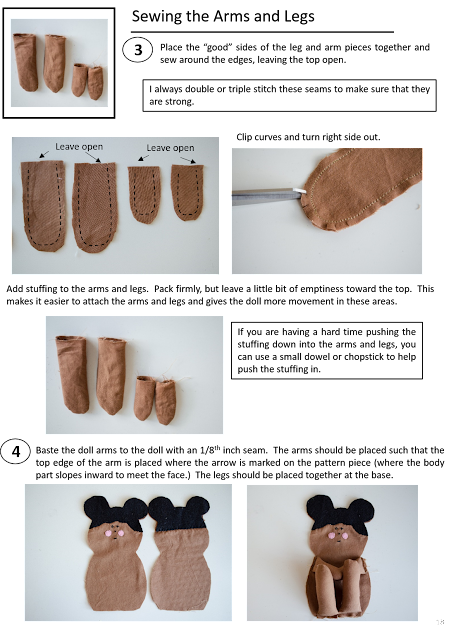 It's purse pattern. It's a doll bed pattern. 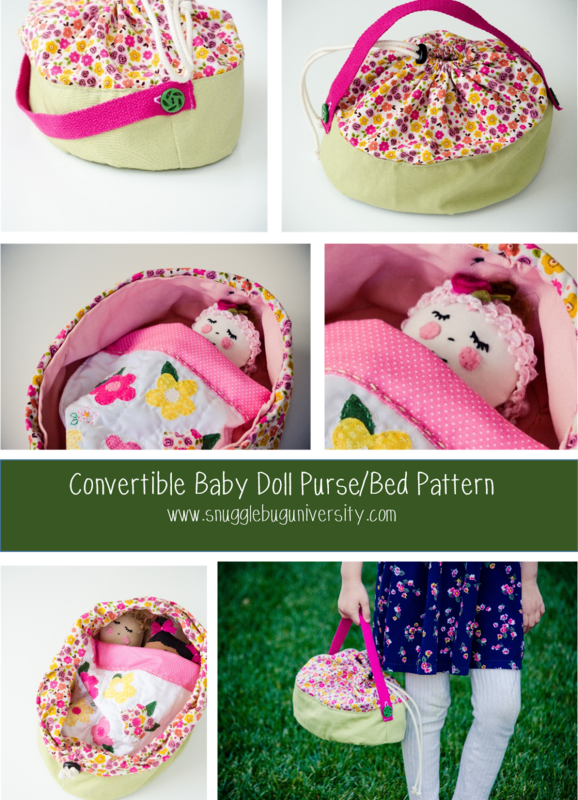 It's a convertible doll bed/purse pattern! That's right! 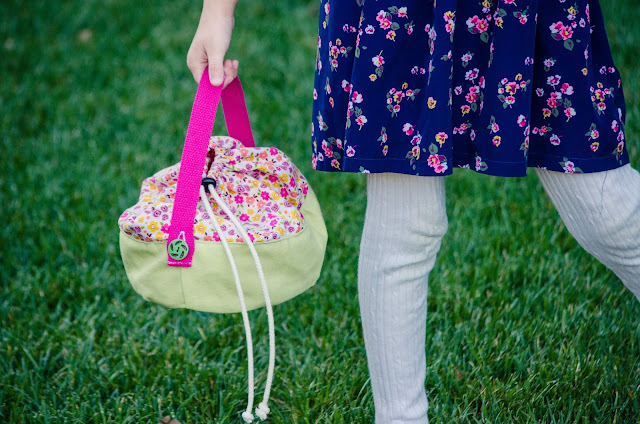 This purse is so much fun! Any mom will attest to the fact that there really isn't anything cooler than being able to put your favorite stuff in a bag and carry it around when you're little...and then turn it into a bed for your doll! All you have to do though is fold down the upper part of the bag, and suddenly you have an adorable doll bed! Complete with a lovely little quilt. Snug as a baby bug, right? That's not all though though to this pattern. 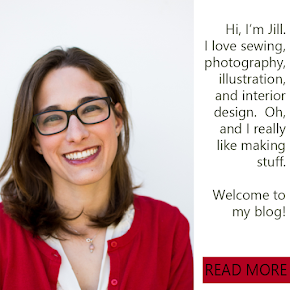 I'll show you how to make removable diapers, bibs, and headbands too! 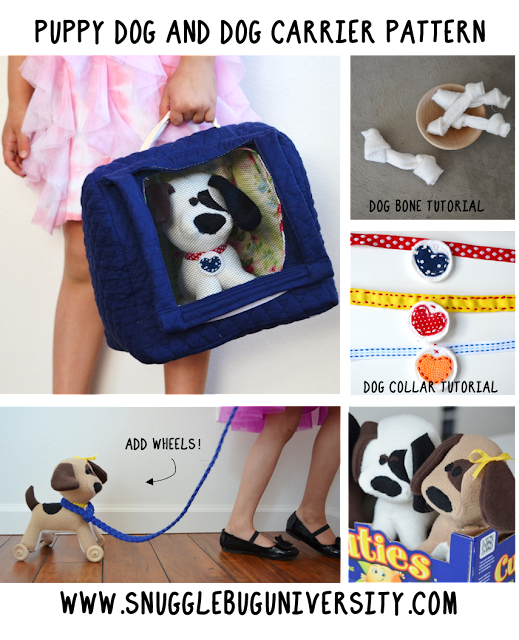 You can customize your doll in so many ways! I can't wait to see what you come ups with. 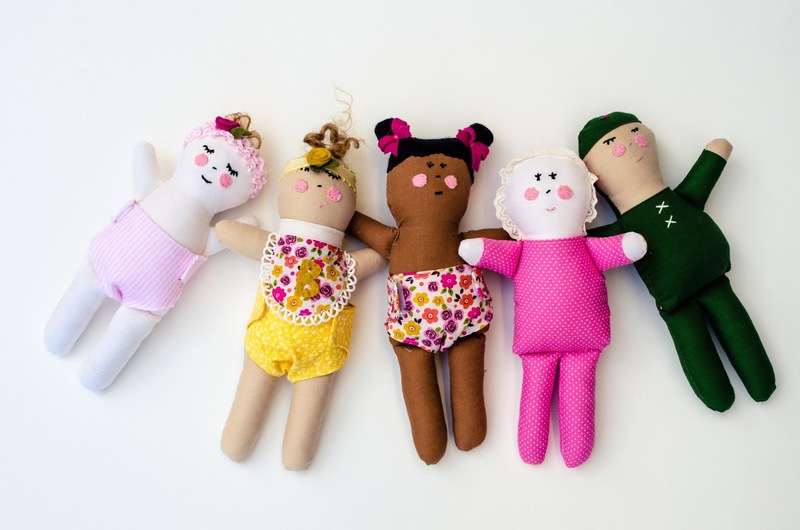 I should mention that while the final dolls are about the same size as my other doll patterns, they have different body dimensions and are constructed differently. 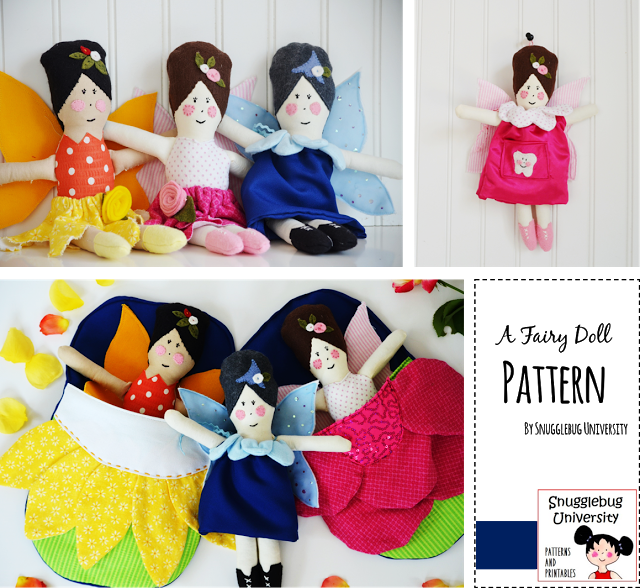 If you have any questions about this pattern, feel free to leave a comment below (or send me an email at snugglebuguniversity (at) gmail (dot) com. I can't wait to see all the babies you make! Send me a picture or tag me on instagram!